It's easy for us to look at drawings and be amazed at the finished work. 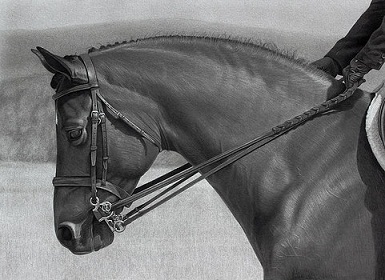 Often the skill exhibited in a drawing is truly amazing and sometimes, downright awe-inspiring. It's easy to be lured into believing that some sort of "magic" was part of the process - that the artist that created the drawing has some unattainable skill - a "talent". We are told from a young age that drawing is a skill only for the "talented", and that without this "magical talent", drawing well will always be out of reach for us. Unfortunately, many of us believe this and "buy into" this falsehood, limiting ourselves from our passions. The truth is that we all have the ability to draw - if we have the desire to draw. When you start believing this, you are already on your way. Michelangelo is quoted as saying, "If people saw all the work that went into my mastery, it would not seem so magical at all." It is clear what he is saying here. It takes hard work to become a master. He says nothing about talent - he is speaking about hard work, dedication, and desire. This is what it takes to learn how to draw. It is not a talent that you either have or don't have. Drawing is a skill and skills can be learned by anyone. Sure, some people will "pick up" on certain skills a little faster than others, but the fact is - drawing can be learned by anyone. Talent isn't a factor - desire is. If you have the desire to draw well and are willing to learn the core concepts of drawing, then you have the potential to draw well. Of course, desire isn't all of it. Having the desire is important, but you have to be willing to learn. Drawing representationally involves a different way of seeing the world. Artists "see" objects differently than most people. Part of learning drawing is learning how to see like an artist. This is a process - a learning process. In order to draw well, you may have to be willing to "put away" any preconceived ideas about drawing that you may currently have. Artists see the world in lines, values, shapes, and forms. There is a learning curve for seeing the world in this way, but it is attainable when you know exactly what to look for in the objects and subjects that you draw. Any learned skill requires practice and drawing is no different. Once you learn the core concepts to drawing, including how to see like an artist, practice needs to follow. The statement, "practice makes perfect" is true. The more that you practice, the better at drawing you will become. By practicing, you become more adapt at seeing the world as an artist. You become more familiar with the materials and medium that you are using and your skill develops. 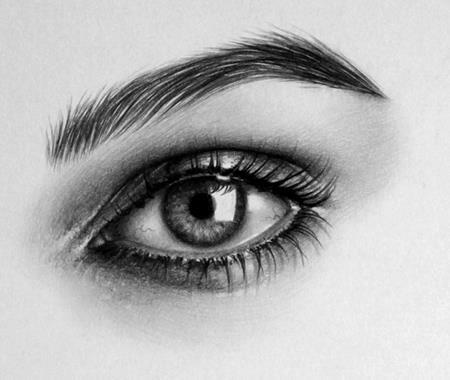 Sadly, most people that have the desire to learn how to draw believe that they lack the mysterious "talent" to do so. They give up too quickly, thinking that they were not born with the ability to draw. They don't see the countless hours of learning and practice that accomplished artists have devoted to their skill. Drawing well is a skill that anyone can learn. As an educator and instructor, I've been fortunate to witness even the most "average" students become masters. It's the first hurdle that is often the hardest to overcome - and that's believing that you can do it. 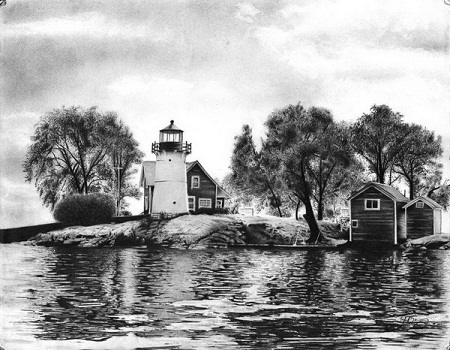 Discover The Most Complete Drawing Course Available To Draw Like A Pro.